The Luxendo MuVi SPIM (Cleared Sample) is an extension of the MuVi SPIM capabilities and enables 3D imaging of optically cleared samples. 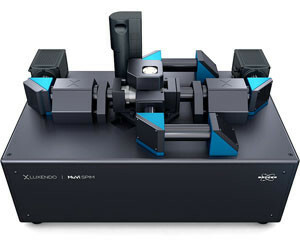 It brings together light-sheet fluorescence microscopy and tissue clearing techniques and provides solutions in terms of sample mounting, sample size and optics to enable fast, high-quality 3D imaging of cleared samples. The MuVi SPIM CS is optimised for 3D imaging of intricate tissue structures, relevant to study the brain or the central nervous tissue in neuroscience, to analyse organ development or to investigate tumour structure and genesis in oncology. It enables imaging of optically cleared tissues, compatibility with various clearing methods, imaging of large samples, large samples and large accessible volume, high-speed image acquisition, high sensitivity and minimal noise. The sample chamber, the illumination and the detection unit in the octagon are adapted to match the experimental needs in terms of sample size, refractive index, field-of-view and resolution, adding high flexibility to the system. The MuVi SPIM CS can achieve a resolution down to 300 nm in 3D (at a wavelength of 500 nm), enabling imaging of optically cleared samples. Two Nikon 10x 0.3 NA air objective lenses project two aligned light-sheets from opposing directions on the sample. Detection includes high numerical aperture, multi-immersion objective lenses, with 20x and 10x magnification. An additional magnification changer results in a total magnification that ranges from 7.5x to 30x. The user can choose the set of illumination and detection objective lenses according to the experimental needs. 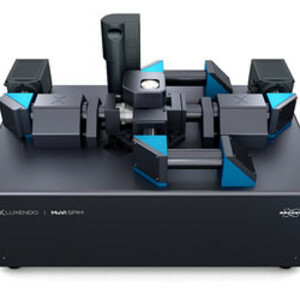 I am interested in Luxendo MuVi SPIM Cleared Sample Light-Sheet Microscope .